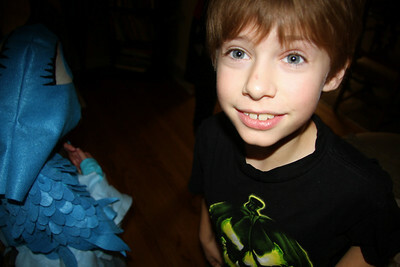 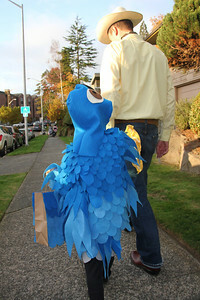 Connor heading out for his coop pumpkin carving night class. 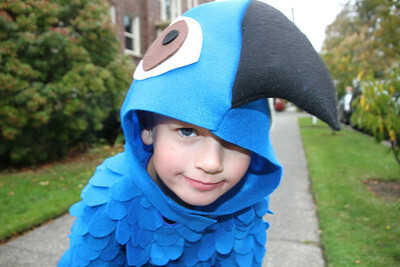 First time in his costume. 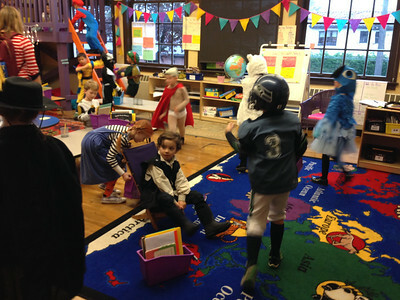 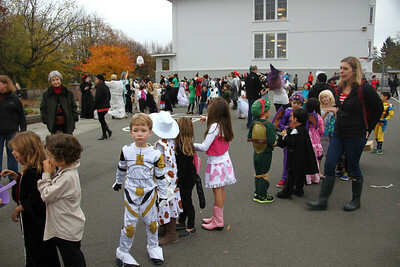 The scene in the classroom at drop-off. 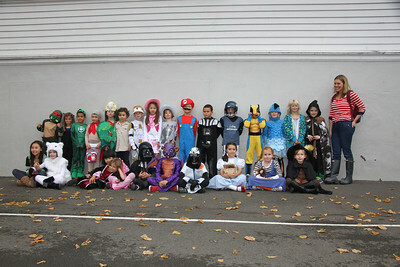 Check out Captain Underpants. 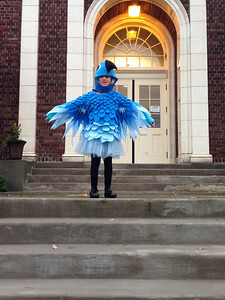 Amelia wasn't the only bird in her class. 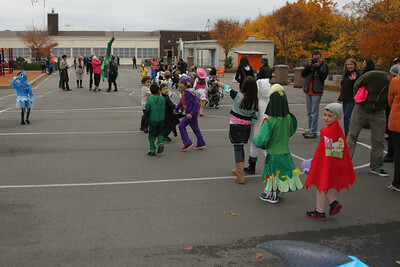 Check out the green kid! 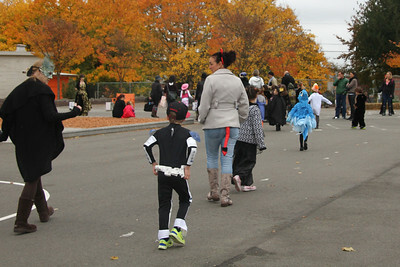 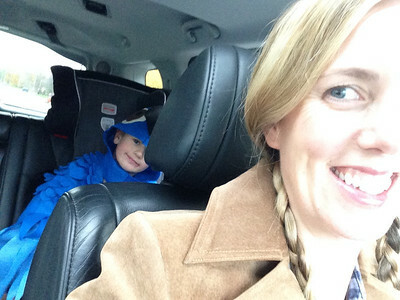 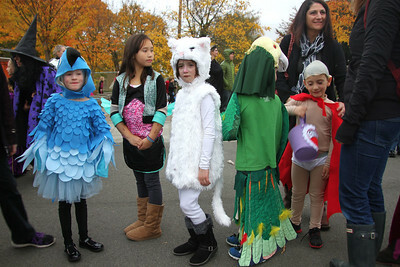 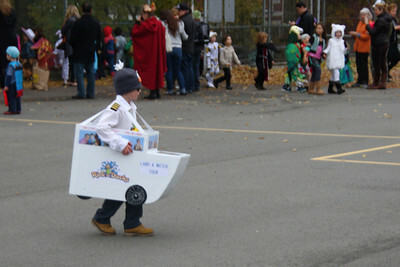 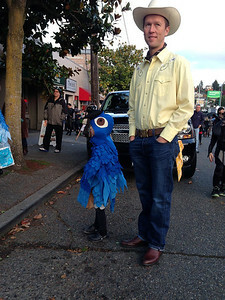 Love this kid's costume - Ride the Duck mobile! 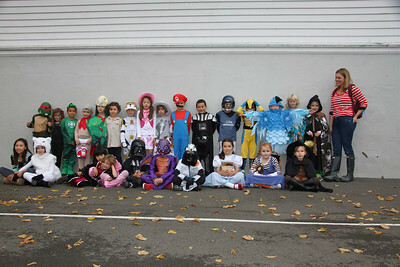 Amelia's class. 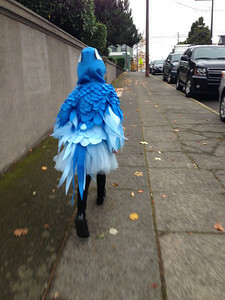 Nice wings, Amelia. 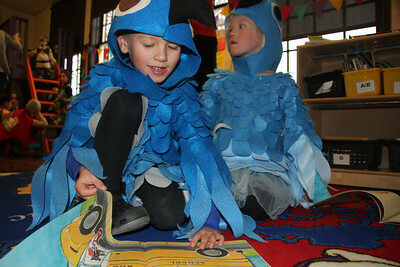 Connor and Amelia read books during the Halloween party. 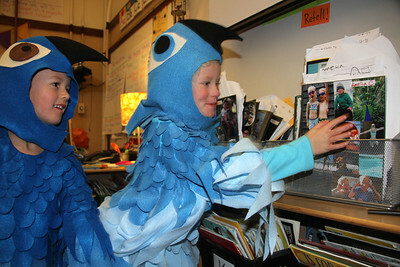 Amelia excited to show Connor her writing folder. 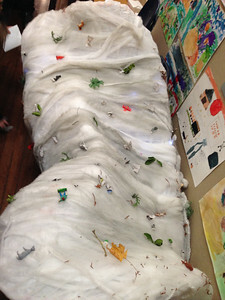 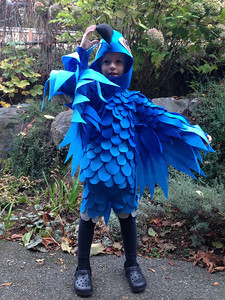 One of the 2nd grade teacher's costume - a tornado - pretty awesome! 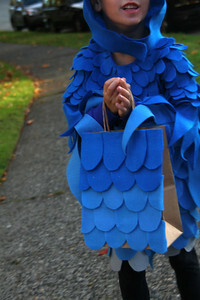 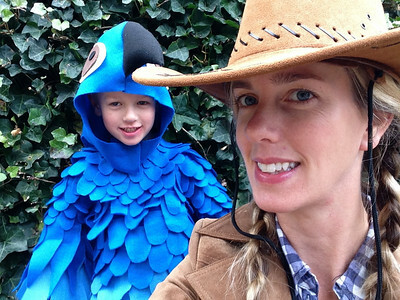 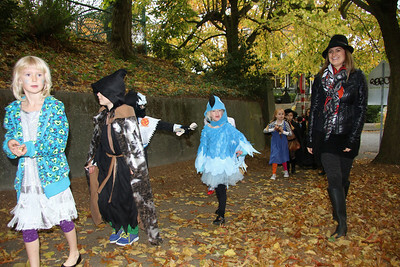 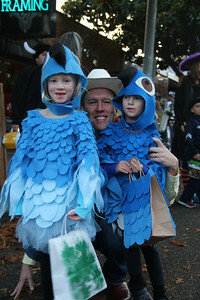 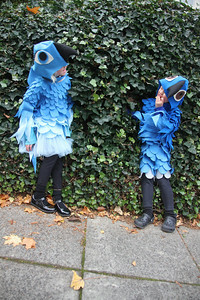 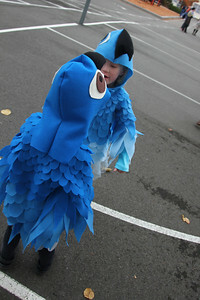 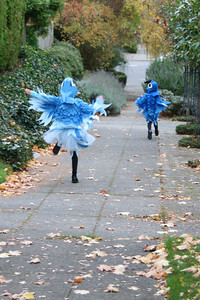 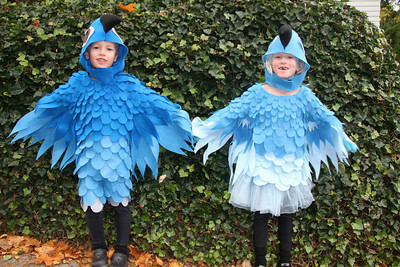 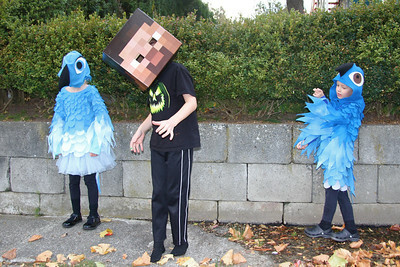 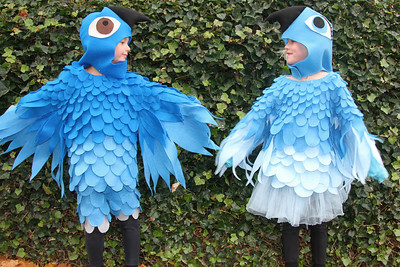 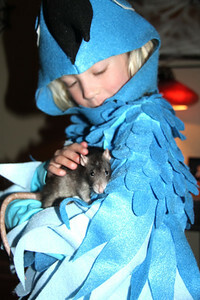 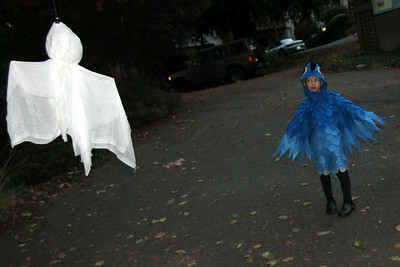 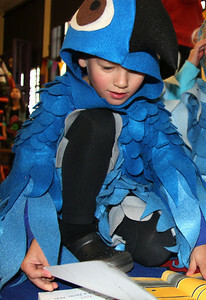 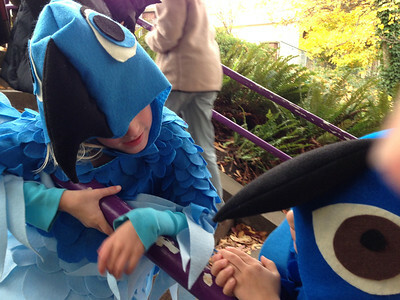 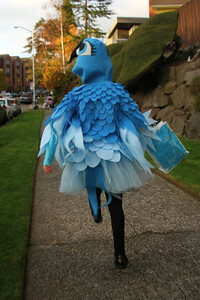 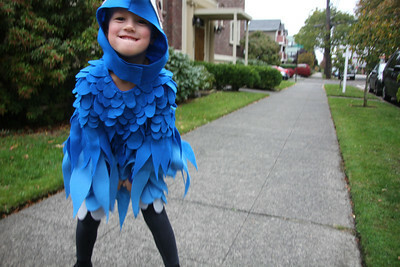 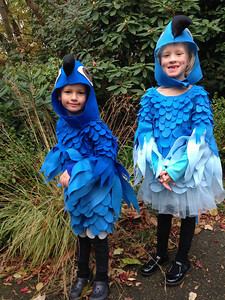 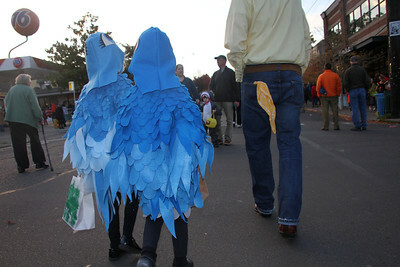 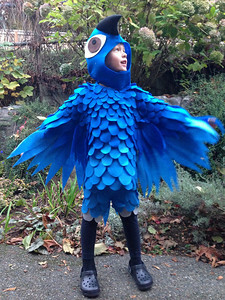 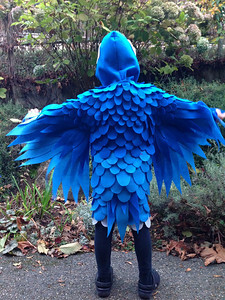 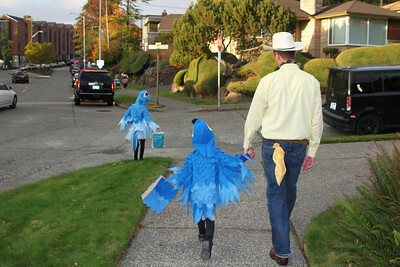 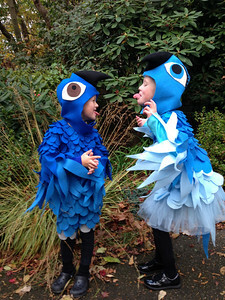 The most bird like picture of Amelia in her bird suit! 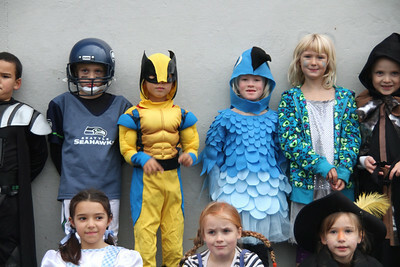 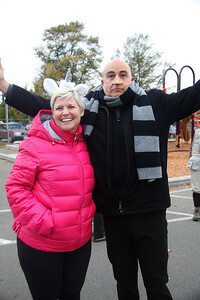 A stop over at Gavin's before we trick or treat.